New featureNew camera disable/enable setting on my-shot-screen.New setting for showing front 9/back 9 holes on scorecard-screen.New "Sharing" functionality, one can share current screen snapshot with friends via Email, Messaging, Facebook and even "What's app" and "Line". Players map view.EnhancementUser interface enhancement for Android 3 and above. 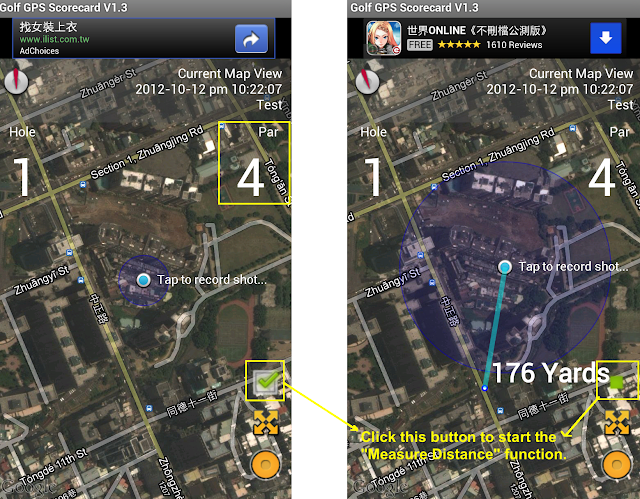 New featureAdd "Share" screen snapshot with friend function.Add "Players Map View" function. Option for display Front 9 or Back 9 holes on scorecard-screen.EnhancementUser interface enhancement for Android 3 and above. 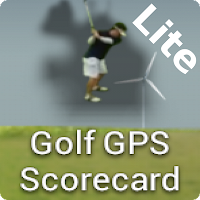 Record score.Measure distance via Google map.Provide game STATS.Provide live leaderboard.Provide player geo position on map. That's the reason why it is a lite version. 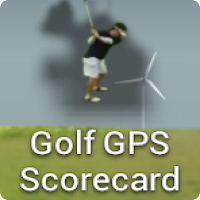 Beside that we also offer another more powerful "Golf GPS Scorecard" app. It can record the Geo position, club used and distance of your every shot in the game. Measure distance function will measure the distance between current Geo position (the blue-white-point) and the point you click on the screen (map).Be sure to click on the "Par no." 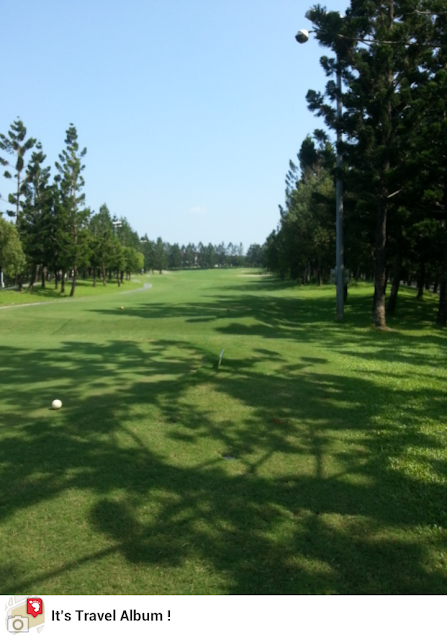 to set the Par information. Click it will increment by 1, and repeat from 3 to 6.